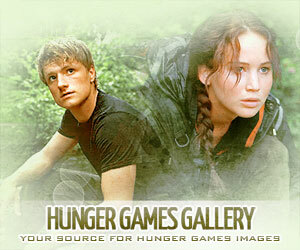 The Hunger Games trilogy is being adapted into a series of four movies. 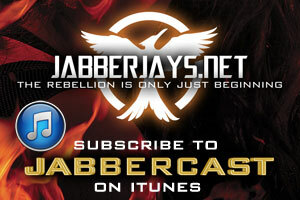 Jabberjays.net has all the information you need to know about them! Synopsis: The worldwide phenomenon of The Hunger Games continues to set the world on fire with The Hunger Games: Mockingjay – Part 1, which finds Katniss Everdeen (Jennifer Lawrence) in District 13 after she literally shatters the games forever. Under the leadership of Commander Coin (Julianne Moore) and the advice of her trusted friends, Katniss spreads her wings as she fights to save Peeta (Josh Hutcherson) and a nation moved by her courage. Synopsis: THE HUNGER GAMES: CATCHING FIRE begins as Katniss Everdeen has returned home safe after winning the 74th Annual Hunger Games along with fellow tribute Peeta Mellark. Winning means that they must turn around and leave their family and close friends, embarking on a “Victor’s Tour” of the districts. Along the way Katniss senses that a rebellion is simmering, but the Capitol is still very much in control as President Snow prepares the 75th Annual Hunger Games (The Quarter Quell) – a competition that could change Panem forever. Synopsis: Every year in the ruins of what was once North America, the Capitol of the nation of Panem forces each of its twelve districts to send a teenage boy and girl to compete in the Hunger Games. Sixteen-year-old Katniss Everdeen volunteers in her younger sister’s place and must rely upon her sharp instincts when she’s pitted against highly trained Tributes who have prepared their entire lives. If she’s ever to return home to District 12, Katniss must make impossible choices in the arena that weigh survival against humanity and life against love.